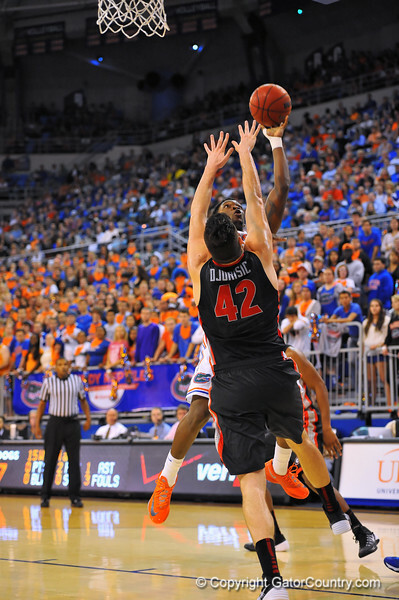 Florida guard Michael Frazier jumps and puts up the shot over Georgia forward Nemanja Djurisic. Florida Gators vs Georgia Bulldogs. Gainesville, FL. January 14, 2013. Gator Country photo by David Bowie.